Xiaomi (pronounced She-oh-me) is a Chinese mobile company that is known for its quality products priced to be affordable. Xiaomi is known for its propitiatory Android ROM, called the MIUI, among the developer community. 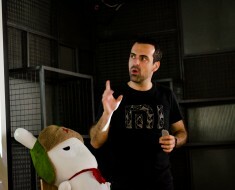 Since the launch of the first Xiaomi mobile, they have made huge waves globally, epicentered in China. Though, Lei Jun, the founder of Xiaomi is known for replicating the Apple model right from Steve Jobs attire to the icons in his products, he is an icon of anti-consumerism in the mind of many business and tech pundits. His philosophy is that, one doesn’t need to burn his pockets to own a high end device. 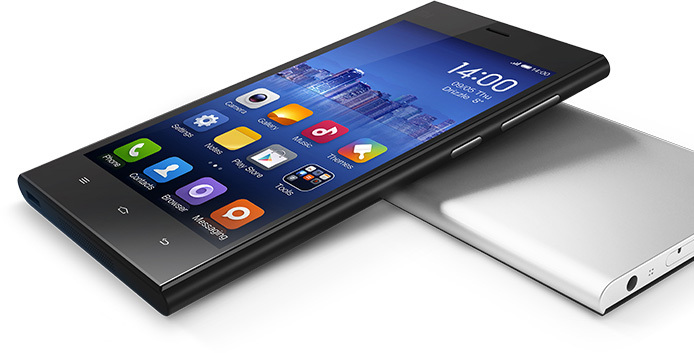 Following the successful reception for the Android based custom ROM – MIUI, Xiaomo launched MI1 in August 2011. It was succeeded by MI2 in August 2012. It was a huge success. Xiaomi has sold over 10 million units in 11 months. Later in March 2014, the MI3 device was launched. It was a roaring success in countries like China, Singalore, Malaysia, Philippines. Following the MI3, 2 new low end smartphones and a tablet was launched. The RedMI 1S, RedMI Note and the MI Pad. The RedMI 1S is the little brother of MI3 and the RedMI Note is a 5.5 inch phablet. 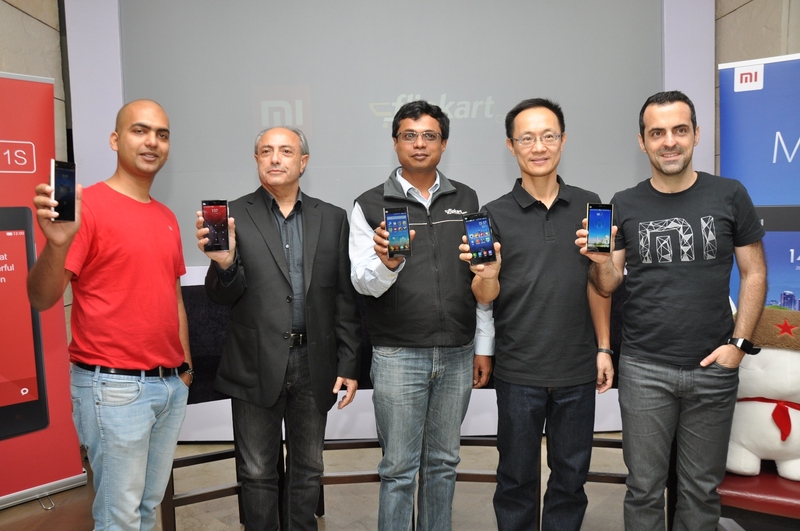 Following its success in most of the Asian countries, Xiaomi has now landed in India. It aims to replicate the success by starting with the MI3, followed by the RedMI One, RedMI Note and also a host of other Xiaomi products. The MI3 is an exciting device. Though it is priced at just Rs 13999, its spec sheet matches most of the high end flagship devices. It runs on MIUI v5, which is based on Android 4.3. It is powered by a Qualcomm Snapdragon 800 Quad Core Krait 400 processor clocked at 2.3GHz. It has a dedicated graphics processing unit Adreno 330. It is 8.1 mm thin and weights just 145 grams, Its 5.0 inch IPS LCD full HD display has a high pixel density of 441 ppi. It has no memory card slot. Internally it has 16 and 64 GB memory variants. It has a 2 GB of RAM. It supports Bluetooth V4.0 with A2DP and has NFC and other standard connectivity capabilities. It’s primary camera is capable of 13 MP assisted by a dual LED Flash. It can shoot videos at 1080p@30fps. Its front facing camera is 2MP. It is powered by a non-removable 3050 mAh battery. Fun Fact #2: Xiaomi recently purchased mi.com domain for a whooping 3.6 million dollars, making the most expensive domain name in China. Pre-registration for the purchase of Xiaomi MI3 starts today (July 14th) in India exclusively through Flipkart. The registration will close by July 21st and the device will be available for sale to everyone who registered, starting from July 22nd. In addition to the MI3, the RedMI 1S and RedMI Note will also be available in India soon. They are priced at Rs 6999 and Rs 9999 respectively. Here is a quick comparison of the MI3, RedMI 1S and RedMI Note specs. The aggressive pricing of these devices are sure to send chills down the spine of other mobile manufactures. It has bought joy to most of us and if you are also really excited about the Xiaomi MI3, go ahead and register here. One thing is for sure. If you are an MIUI lover, like me, you will definitely love the user experience using the Xiaomi mobiles. Hugo Bara, Vice President of Xiaomi Global, who is an ex-Google VP of Android platform will be in town and he is meeting us, a bunch of bloggers. If you have any questions or comments, do share you thoughts here and I will get it through to Hugo Barra and team MI India. Bloggers try hard to scratch the RedMI 1S and here is what they managed to do!